We love to go back and find some of the most iconic women of all time wearing pearls! 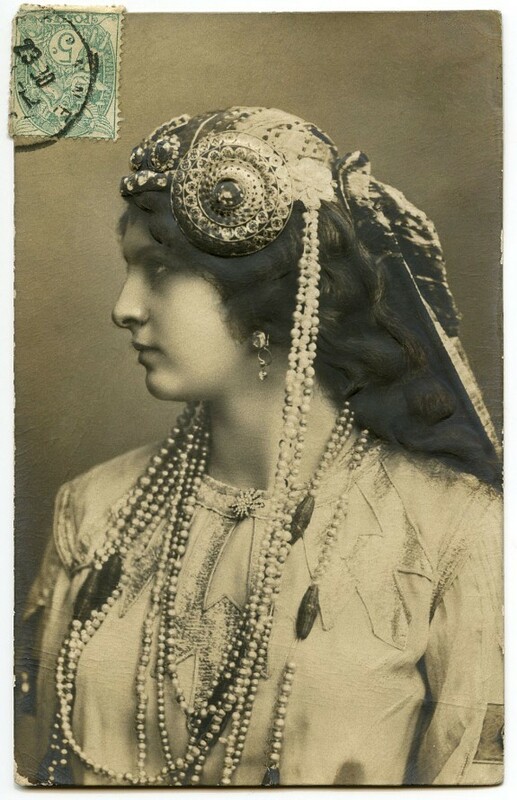 Today’s feature is a very old postcard photo of a woman wearing pearls. This rare and old photo postcard seems to be in pretty great condition! The image features a stylish French Lady wearing a beautifully Art Nouveau Costume! The way she is dressed in the picture is so amazing because women have long changed this style of dress and this style was actually quite refreshing. It is also truly amazing because in the image she displays numerous layers of pearls from her headdress all the way to her neck making for a regal look. What do you think of this amazing find? Don’t you just love the antique style and amazing pearls? This entry was posted in PearlsOnly and tagged antique, french, GREAT MOMENT IN PEARL HISTORY, Old Photo Postcard of Woman Wearing Pearls and Art Nouveau Costume, old picture, Pearls, style, vintage by PearlsOnly Team. Bookmark the permalink.